PostgreSQL is a powerful open-source relational database, with high reliability and data integrity. It is commonly used to power e-commerce, location-based applications, financial insurance systems, and complex data object processing. RDS for PostgreSQL supports multiple plugins and data types for fast, flexible data processing. RDS for PostgreSQL has been certified by TRUCS, CSA STAR, and ISO 27001, with Class 3 certification in Information Security Protection by China's Ministry of Public Security. Comprehensive monitoring allows you to monitor DB instance status and set alarm rules. RDS for PostgreSQL supports PostGIS and is the preferred choice for location-based applications. It provides spatial features including space objects, indexes, operation functions, and operators.  Supports various types of spatial data including points, lines, planes, grids, and three-dimensional data. Provides efficient spatial analysis functions and works with OBS to expand the space. Reduces the code complexity for location applications, making spatial operations easier. RDS for PostgreSQL supports different forms of complex data and custom data types. It stores infrequently used data to OBS to save storage costs and space. Stores data accurately and uses a VPN to protect data privacy. Builds indexes on generic expressions rather than values or columns. Easily and quickly processes custom data types. RDS for PostgreSQL uses Multi-Version Concurrency Control (MVCC) to ensure data consistency and synchronizes data between primary and standby DB instances to ensure data integrity. Modifications made to a transaction are not visible to other users, complying with the properties of Atomicity, Consistency, Isolation, Durability (ACID). The primary/standby synchronization delay is mere milliseconds, ensuring data consistency. RDS for PostgreSQL is an excellent choice for its stability in SQL programming for Internet applications in high-concurrency scenarios. Maintains excellent performance in high concurrency and heavy load scenarios. Analysis functions and recursive functions are embedded, greatly simplifying complexity of Internet application code. Uses PostGIS to support 2D and 3D models, including space objects, indexes, operation functions, and operators. Provides efficient spatial analysis functions. Provides an easy and cost-effective way to run non-production workloads for testing and development. Supports concurrent requests, high availability, and automatic failover in case of a primary DB instance failure. Comprehensively monitors metrics to inform you of DB instance running status and enables you to set alarm rules. For production databases of large- and medium-sized enterprises. Primary/standby DB instances are recommended. For large- and medium-sized e-commerce and gaming enterprises. Primary/standby DB instances and read replicas are recommended.